The California driver-training requirement is more stringent than one adopted by the Federal Motor Carrier Safety Administration in December 2016. FMCSA’s rule only requires that the training provider not issue a certificate to a driver until the driver has demonstrated proficiency in performing all driving skills. It carries a compliance date of Feb. 7, 2020, and does not require a minimum number of hours of classroom instruction. In California, existing state law requires — in line with prior federal regulations — an individual to pass a written test and a driving test to obtain a commercial driver license. However, it does require a course of instruction prior to taking the tests. But California Senate Bill 1236, recently signed into law by Democratic Gov. Jerry Brown, requires the state Department of Motor Vehicles to no later than June 5, 2020, adopt regulations related to entry-level driving training requirements for commercial motor vehicle drivers. The 281-page federal entry-level driver training rule, largely the result of recommendations sent to the agency by a committee of industry stakeholders, revises the standards required for new interstate and intrastate commercial vehicle operators to obtain a Class A and Class B commercial driver license. The basic provisions in the rule, mandated by the MAP-21 transportation law, are largely the result of a series of meetings between February 2015 and May 2015 of an FMCSA-appointed, broad-based stakeholder group known as the Entry-Level Driver Training Advisory Committee. 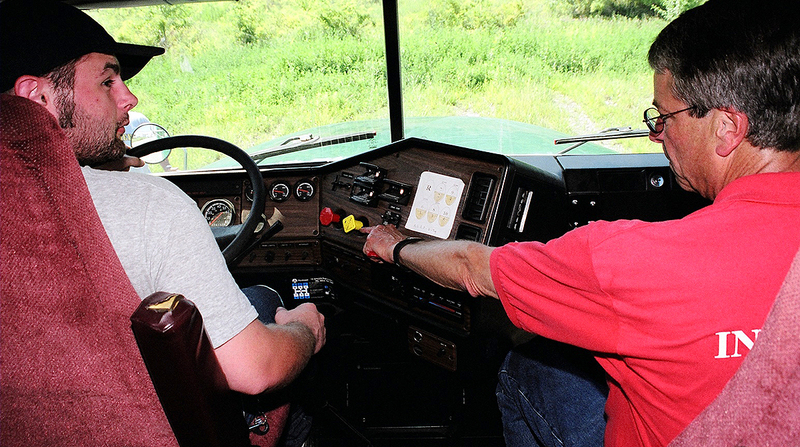 The 25-member committee issued its consensus agreement in May 2015, which included a requirement that Class A CDL driver-trainees receive a minimum of 30 hours of training behind the wheel, with at least 10 of those hours on a driving range. However, the final rule was based on a “performance-based” approach to behind-the-wheel training versus an approach requiring that a minimum number of hours be spent in the hands-on behind-the-wheel training, an issue that was the topic of extensive debate by the committee. Lefeve, a member of the committee, said his trade organization concurred with the 30-hour original recommendation of the stakeholder committee. However, he said FMCSA did not have the required data to support a rule that stipulated a certain minimum time behind the wheel would improve safety.